It’s almost impossible to find replacement earbuds for Plantronics bluetooth headsets — but we found them! Unfortunately, the retail stores don’t want to devote any shelf space to inexpensive items that have no profit margin so it’s nearly impossible to find replacement parts for you bluetooth in a local store. You will be able to find them online but you’ll have to buy a bunch because they usually have a minimum. There’s just not a lot of businesses who can operate and stay in business shipping earbuds all day, so hopefully you need a charger, some ear hooks or something else besides earbuds. 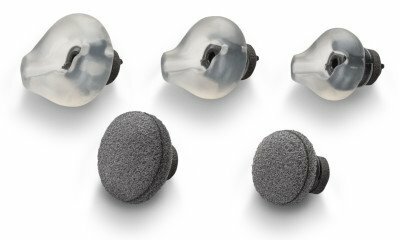 Here’s the link with a good assortment of all the Plantronics bluetooth accessories and replacement parts.